This month we’re looking at our MicroMac C Colorimetric analyser so that you can get to know its talents a little better. The MicroMac C is designed to work in an industrial or treatment works setting and needs very little routine intervention. Wherever possible it uses industry standard chemistry methods too! The MicroMac C sports two separate compartments, one for the electronics, and one for chemistry. The chemistry compartment also has reagent storage! The analyser offers an extremely reliable way of monitoring many chemistry combinations including orthophosphate and soluble iron, orthophosphate and ammonia, and more! The chemistry module uses a unique patented Loop Flow Analysis System which creates a flexible and efficient way to monitor all the different levels. 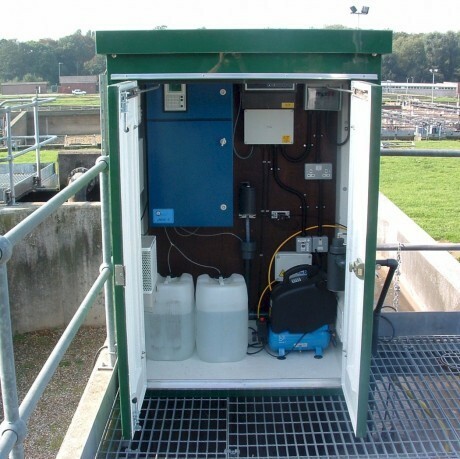 The system can accommodate a range of different digestions including, UV, acid and high temperature, as well as temperature controlled end point reactions which either utilise a visible light colorimeter or a fluorimeter. The MicroMac C’s analytical methods are based around the standard methods found in many international laboratories and have their roots in the Methods for the Examination of Waters and Associated Materials which are published by the HMSO Standing Committee of Analysts. Recently, our Sales Manager David paid a visit to take a look at a MicroMac C Colorimetric Analyser – you can read more about it on our blog! Additionally, we also offer the MicroMac 1000 Portable Colorimetric Analyser which is designed to be a free-standing instrument meaning you can capture live data from a venue for a short period of time without worrying about installing complex online monitoring packages. You can learn more about the MicroMac 1000, here.